Over a period of 1600 years, 40 different authors wrote the 66 books of the Bible. Yet from Genesis to Revelation we find UNCANNY AGREEMENT between them all in topics ranging across the spectrum. In fact the entire book has been cross-referenced, and found to be one unified, harmonious ORACLE -- as if INTENTIONALLY put together that way. Some scholars consider this to be the best proof that the Bible is inspired. They say, "The New Testament is in the Old concealed (or contained); the Old is in the New revealed (or explained)." But can you trust the Bible? What is the EVIDENCE from ARCHAEOLOGY? Where is the PROOF from FULFILLED PROPHECY? Has the ACCURACY of Scripture been CONFIRMED SCIENTIFICALLY? Here are some Bible lessons that DEMONSTRATE the AMAZING RELIABILITY of Scripture. Each illustrated lesson is quick and concentrated with color drawings. From Jewish law to British-Israel doctrine to Star Charts we stand in AWE of the Bible and its Author. Lesson 1: The United States & British Empire FORETOLD in the Bible? Lesson 2: Are The FOOD LAWS Scientific? Lesson 3: Do the PURITY LAWS Prevent Sickness? Lesson 4: Which Day is the SABBATH? Lesson 5: Should Christians TITHE? Lesson 6: Were the FEAST DAYS Abolished? Lesson 7: What's Wrong With the CALENDAR? Lesson 9: What Does it Mean to "TURN the OTHER CHEEK?" Lesson 10: Should Christians Wear Blue TASSELS? Lesson 11: Was Jesus A HILLELITE Pharisee? Lesson 12: Was Jesus A QUMRAN Essene? Lesson 13: Should Christians Wear Phylacteries? Lesson 14: Which Old Testament Laws Were Abolished? Lesson 16: Who is the Scarlet HARLOT of Babylon? Lesson 17: What's Wrong With EASTER? Lesson 18: What's Wrong With "CHRISTMAS"? Lesson 19: Was ENGLISH Derived From HEBREW? Lesson 20: Who Was Redeemed -- Oholah Or Oholibah? Lesson 21: Were SCYTHIANS Israelites? Are the Scots From Scythia? Lesson 22: Do the British Use Israelite Weights And Measures? Lesson 23: Does HISTORY Record 2520 Years of Punishment? Lesson 24: Were Israelites in INDIA? Lesson 26: Christianity Before Christ? Lesson 27: Did The Welsh CYMRY Come From The CRIMEA? Lesson 28: Were the Greeks ISRAELITES? Lesson 30: Should Women Preach? Lesson 31: The 1260 Years of PERSECUTION By Two "Little Horns"
Lesson 32: Should Christians Use The Title "MISTER"? Lesson 33: Did The Bible Predict World War Two? Lesson 35: What is the Meaning of HANUKKAH? Lesson 36: What is the Meaning of PURIM? Lesson 38: What's Wrong With HALLOWEEN? Lesson 39: Mankind's 6000-Year Chronology? Lesson 42: God's Hidden Message in "The Wizard of Oz"
Lesson 43: God's Hidden Message in "Chariots of Fire"
Lesson 44: Are You A REPUBLICAN (Conservative) Or A DEMOCRAT (Liberal)? Lesson 72: Is Whitehorse the Place of Safety? Lesson 73: How Does 666 Identify the Beast & False Prophet? Lesson 74: What Are the Four Jewish Fast Days? Lesson 75: PSYCHIATRY is a Mental Disorder! Lesson 76: OPTOMETRISTS Cause Your Eyes To Grow Worse! Lesson 77: Toxic MERCURY FILLINGS from DENTISTS! Lesson 79: Are VACCINES Really Safe And Effective? Lesson 80: "Dead DOCTORS Don't Lie"
Lesson 87: What is the Purpose of Life? Lesson 180: "Go to the Lost Sheep of the House of Israel"
Lesson 181: Did Jesus Visit Britain? Lesson 182: Linus, Claudia and Pudens . . . Was Constantine British? Lesson 185: Was Jesus A High Priest? Lesson 186: Where Did the Lloegrians Come From? Lesson 187: Who Are The People Who Sat in DARKNESS? Lesson 189: Are Norway and Iceland BENJAMIN? Lesson 190: Were The Druids LEVITES? Lesson 191: Is Holland ZEBULUN? Lesson 192: Is Ulster DANITE? Lesson 193: Is ISSACHAR Finland and Switzerland? Lesson 194: Are GAD and NAPHTALI in Sweden? Lesson 195: Is ASHER Belgium and South Africa? Lesson 196: Are Great Britain and the United States JOSEPH? Lesson 197: Is Wales SIMEON? Lesson 198: Is France REUBEN? Lesson 199: Is JUDAH in Jutland? Is JUDAH in Spain? Lesson 200: Were the PHOENICIANS Israelites? Lesson 201: Were the PARTHIANS Israelites? Lesson 202: Are The HEBREWS in HIBERNIA? Lesson 203: Who are the "Gentiles" Mentioned in the New Testament? Lesson 205: Will BRITAIN Be Defeated By GERMANY? Lesson 206: The Amazing Stone of Scone and "God Save the King"
Lesson 210: Did the German ARIANS Come From HARA? Lesson 211: Did Jesus Quote From Aesop's Fables? Lesson 212: What's Wrong With Valentine's Day? Lesson 213: What Did the Israelites Look like? Lesson 215: "Repent and Be Baptized"
Lesson 216: Was King Solomon a Type of Christ our King? Lesson 219: What is the Purpose of FASTING? Lesson 235: Were Dinosaurs Extinct Before Adam Was Created? Lesson 244: Mankind is Appointed Mortal Sorrow. The Blessed God Shall Come Down Teaching. His Death Shall Bring the Despairing Comfort (Genesis 5). Lesson 306: Is God A Trinity? Lesson 309: Deliverance From Demons -- Stopping "Alien Abductions"
Lesson 310: Baking Soda Fights Cancer? Lesson 311: Is The King James Version the Best Translation? Lesson 322: How Did BAAL-Worship Enter the CHRISTIAN Church? Lesson 324: Is The BRITISH Empire a Type of the KINGDOM of GOD? Lesson 344: What's Wrong With GAMBLING? Lesson 345: Should Your Church LICENSE Itself For Tax Exempt Status Under 501(c)3? 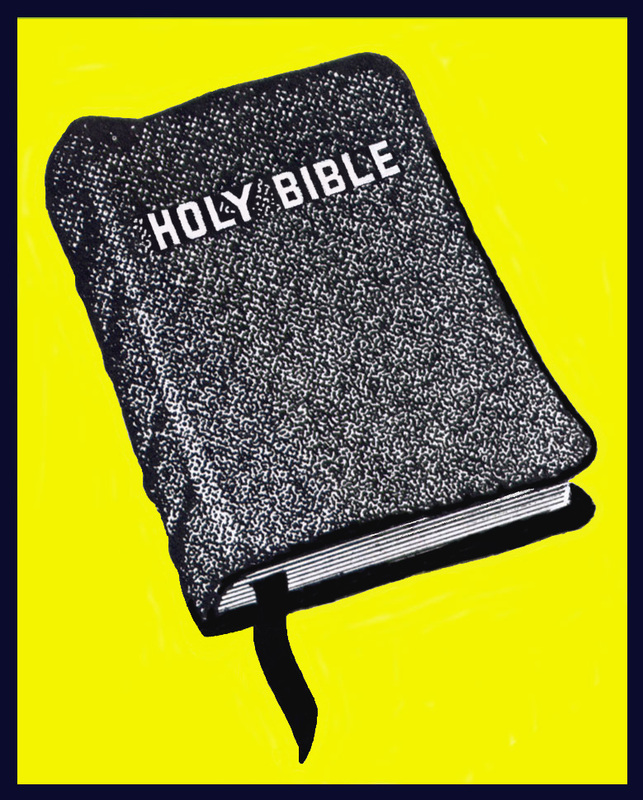 Lesson 346: Does the Bible Teach "Sacred Names"? Lesson 357: Is the CROSS A Pagan Symbol? Lesson 358: PreFlood HEALTH Using a HYPERBARIC Chamber? Lesson 359: Should A Christian Be A MASON? Lesson 366: What is Earthing? Lesson 374: The Bible and the Value of π As Well As 30 Other Supposed "Scripture Contradictions"
Lesson 376: Should We "Blindly" Obey Ministers? Lesson 388: Does God Have A Sense of Humor? Lesson 400: What is Your Responsibility? Lesson 401: Do You Have an Immortal Soul? Lesson 402: Were Humans Created INCOMPLETE? Lesson 404: What's Wrong With Agriculture? Lesson 406: What is Real Milk? Lesson 408: Why Fast For 40 Days of Lent? Lesson 409: Why Two Resurrections? Lesson 412: Do the Wicked Suffer Forever in HELL? Lesson 415: Is It Wrong to Have PICTURES of Christ? Lesson 416: Why is the Behistun Rock Important? Lesson 421: How Can Christians "Inherit the EARTH" if They're Taken "in the Clouds" to HEAVEN? Lesson 424: Does the New Covenant Abolish God's Law? If you have any questions or comments, you can e-mail us at jewishchristian@seanet.com. Disclaimer: This web site may contain mistakes. We are all human. None of the contents of this web site should be considered specific advice or a course of action to be followed with regard to any needs, problems or goals. The author disclaims responsibility for any adverse effects resulting directly or indirectly from the material presented, suggested procedures, undetected errors or reader misunderstanding.